For now, there isn’t any modern smartphone innovation more intriguing than that of the in-display fingerprint sensor. And given the number of leaks and speculations for the upcoming Samsung Galaxy Note 9, it’s no surprise that Samsung is working on an under-display fingerprint scanner. 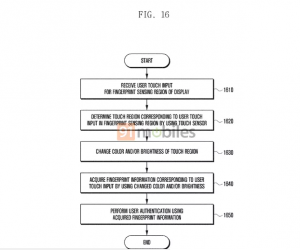 It was previously reported that the brand is extensively testing the feature. 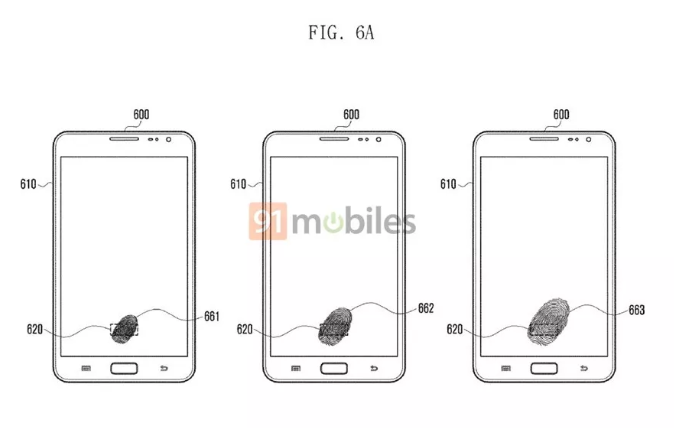 According to a new leak, a new patent filed by the Chaebol has been spotted which reveals the position and working of the under-screen fingerprint reader. 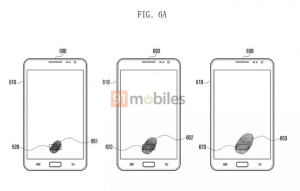 According to the leak by 91mobiles, the Samsung patent shows the fingerprint scanner to be placed at the bottom of the display. Such a design was previously seen in Vivo X20 Plus UD. The Vivo’s flagship smartphone which utilizes Synaptics’ Clear ID technology and has an in-display fingerprint sensor. 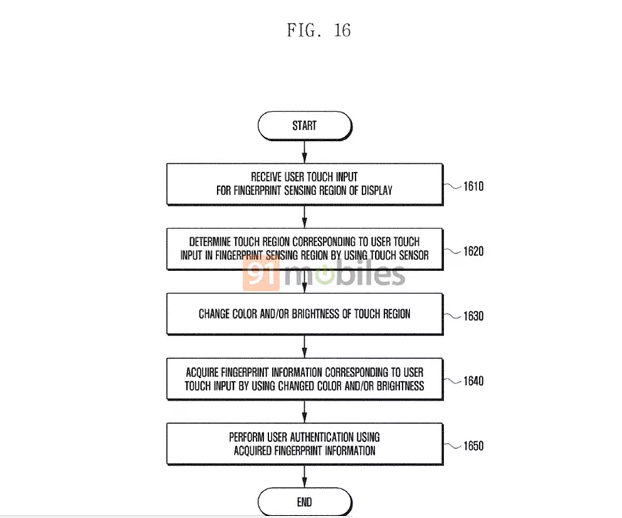 The patent further reveals how the fingerprint scanner will be detecting a touch to authenticate the user. Once the user places a finger on the designated region on the display, the sensor will then read the biometric info of the user. The sensor will do that with the light-emitting property of the super-AMOLED display by changing the brightness around the sensor when touched. As this technology was previously used by the Synaptics Clear ID on the Vivo X20 UD. It’s quite possible that Samsung might also be using the same sensor. Although at this point there is no official confirmation. Allowing smartphone makers such as Samsung to include biometric scanners on their flagships without compromising design is an achievement worth celebrating. As we haven’t seen any of the major brands adopt the technology quite yet. Samsung has been testing three or four solutions to embed the sensor inside the display of the Galaxy Note 9 and the model number N960USQE0ARA2. 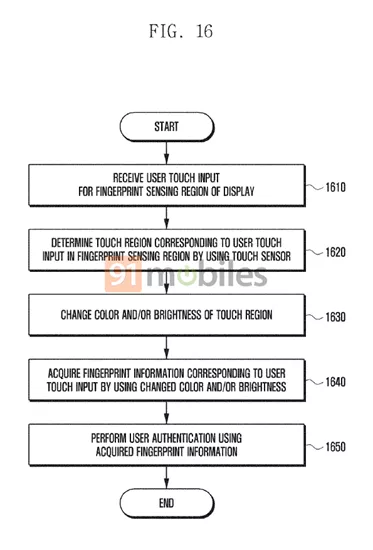 Although the rumor is not confirmed by the company, but if the Korean giant chooses to go with the in-display fingerprint sensor, this patent may describe the method by which the technology will work. The Galaxy Note 9, which should be out in August or September, as the first Samsung phone to include the in-display sensor. Are you excited to get your hands on the upcoming Galaxy Note 9? Let us know in the comments below.